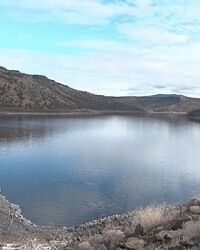 The Crooked River below Bowman Dam and the Prineville Reservoir is regarded as a blue ribbon fishery for Oregon's native Redband trout. It may be highly regarded by anglers—but at the moment, that image has been dealt a serious blow. At the heart of the issue is federal legislation passed in December 2014, which allocated water primarily for irrigation and flood control purposes. As a result of conserving water in the reservoir, the native trout numbers—along with mountain whitefish, salmon and steelhead populations—were decimated by extremely low winter flows, coupled with high water releases in the spring as the irrigation season got underway. Releases from the dam have resulted in the natural flow regime being reversed from high flows in late winter and low flows in summer. 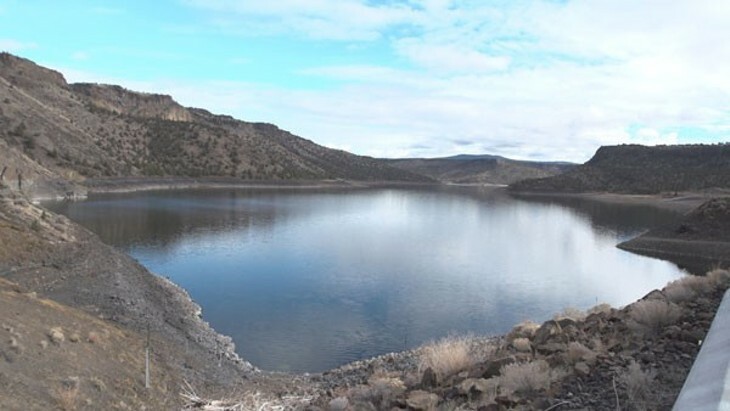 Compounding the problem was the 2014-15 drought, which resulted in the third-lowest water levels at Prineville Reservoir behind Bowman Dam. Water flows from the dam were reduced to 35 cubic feet per second (cfs) during the winter to conserve water for summer. The low flows allowed for freezing, resulting in a much-reduced food supply for the fish and a decrease in population. The Oregon Department of Fish & Wildlife has tracked fish populations in the Crooked River since 1989. According to fish biologist Brett Hodgson, 2015 saw the most significant decline over a one-year period since tracking was implemented. "In 2015 we went from over 4,000 Redband Trout per mile in the upper two-mile stretch of the river below Bowman Dam to less than 500 in 2016," Hodgson said. 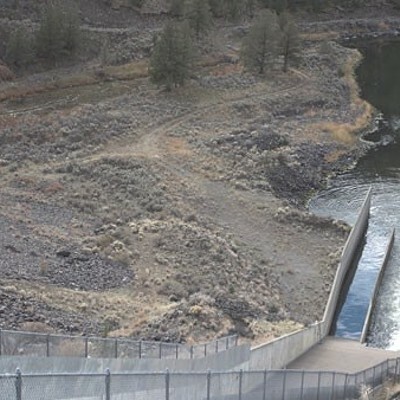 The river from Bowman Dam to Prineville is considered a priority core area, with the best habitat along the entire river for salmonid populations that return to the base of the dam. "I was here fishing a week ago and there was nobody here. 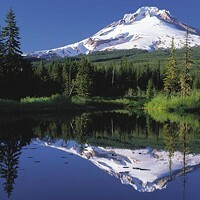 Two years ago I couldn't find a place to fish," said Mike Tripp, President of the Deschutes Chapter of Trout Unlimited. Tripp says the Crooked River is considered a "treasure" of recreational sport fishing in Central Oregon. A 2013 ODFW survey showed anglers from 30 different states and at least two foreign countries spent over 46,000 hours angling on the Crooked River from Bowman to Prineville. 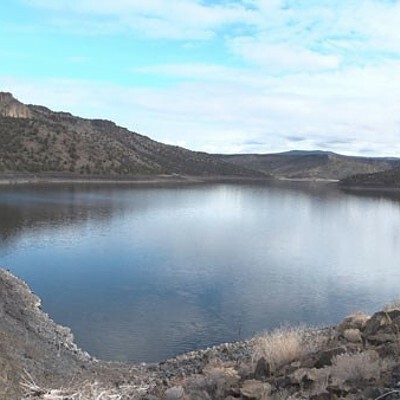 ODFW estimates that anglers spent approximately $600,000 from May through December of that year, with much of the spending happening in Prineville. 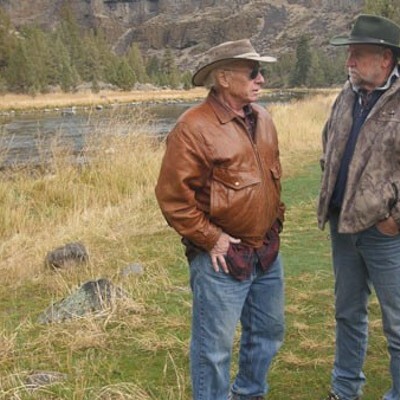 Avid fly fisherman and former President of Central Oregon Fly Fishers, Dave Dunahay, added, "You just needed to be out here and you knew something was not right. People quit coming. The anecdotal information among the fishing community was: Don't bother to come out here because there's no fish." Dunahay says the river has historically been a great place for beginning fly fishers to learn to fish. On some of his best days, Dunahay says he has caught and released over 50 fish ranging up to 18 inches in length. The Crooked River is one of the few year-round fisheries in Central Oregon. Bowman Dam was completed in 1961 to store water for irrigation and to control flooding around Prineville. The Ochoco Irrigation District has 900 patrons and supplies water to 20,000 acres in the region. In December 2014, the Crooked River Water & Jobs Security Act was passed into law. Sponsored by Congressman Greg Walden and Sen. Jeff Merkley, the federal legislation assured irrigators that they'd have water. The legislation also allowed for uncontracted water to be used to enhance the fishery. But what legislation can't guarantee is adequate water supplies during drought conditions. That occurred as the legislation was being implemented, and it contributed to the low winter release from the dam. Russ Rhoden, manager of the Ochoco Irrigation District, said, "I don't think 2014-2015 was caused by the legislation. Again, the reservoir was down to its third lowest carry-over since the beginning of the Bowman Dam project in 1961." Rhoden noted that the legislation is new, and the Bureau of Reclamation and other water managers are in an implementation learning phase. "Obviously, one thing that didn't help was we were in drought conditions." Rhoden says fishermen weren't the only ones who suffered. He points out that irrigation was also reduced from an average of 3 acre feet on average to 2 acre feet. 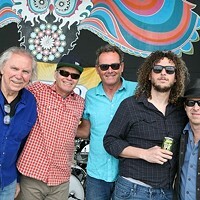 "I know winter flow is the sticking point, and hopefully that will be worked out. 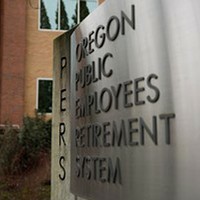 I know the resource managers are learning some things out of this." 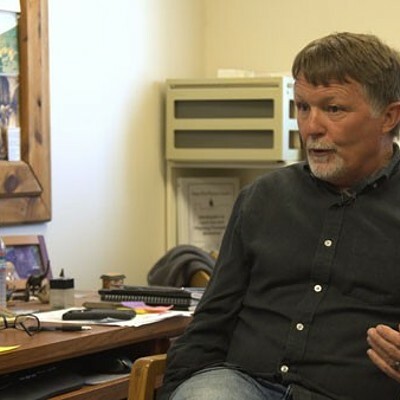 Longtime Crooked River fisherman and retired University of California-Berkeley entomologist John Anderson says he's not a fan of the legislation. 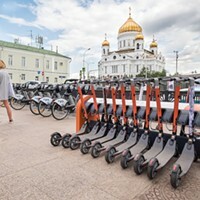 "Unfortunately, when the legislation was being written, it was written by attorneys and members of the congressional staffs. There was almost no biological input, which was unfortunate." Anderson has conducted studies on the river and is the author of the book, "Fishing Oregon's Crooked River." He says ODFW is responsible for managing fish in the state's waters, but he maintains that no one consulted them when the legislation was drafted. ODFW's Hodgson says his agency served in an advisory role but not in a decision-making capacity. 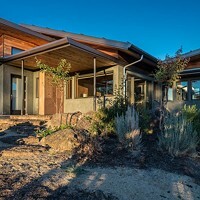 ODFW has had meetings with the U.S. Fish & Wildlife Service pertaining to flow recommendations that, according to Hodgson, were ignored by federal agencies. "We ended up with the situation that we had this past winter when flows got down to 35 cubic feet per second and we had the negative impact on fish." "I think everyone was discouraged and disappointed by what happened last year, and no one wants it to happen again," Hodgson says. "We're looking at alternative flow strategies, specifically on the need to maintain a suitable minimum flow during the winter." Asked what that flow would be, he stated 80 cubic feet per second, which is the level currently being released from the dam. Another major problem impacting fish counts below Bowman is the dam structure. During high water release volumes in the spring and summer, elevated levels of nitrogen are released. This situation creates what is known as "nitrogen bubble disease" that kills fish. Hodgson says that problem requires a more long-term solution. "Our hope is that we can work with the Bureau of Reclamation and others to ultimately come up with some kind of engineering fix to address that situation." As federal agencies grapple with managing water levels in the Crooked River below Bowman Dam, all seem optimistic about the future. Hodgson says the fishery can bounce back quickly – within two to three years if properly managed. Legislation skeptic John Anderson agrees. 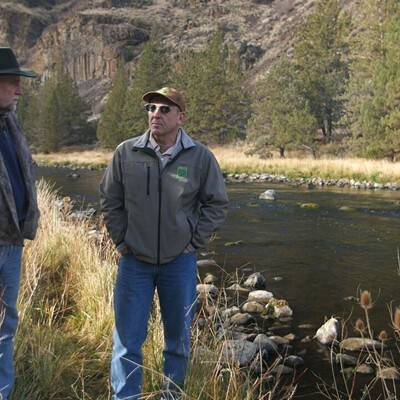 "If ODFW can continue to have input into the decision-making process every year, I would feel much better about this river being protected for fishing." Tripp of Trout Unlimited thinks the legislation can be retained and still work for fish. "That's our position," he says. As to meeting all needs, Tripp is confident that there can be adequate water supplies for agriculture as well as the fishery. Referring to the fishery, Tripp says, "Clearly it's a resource to be protected."